win a 50" big screen TV!! All tickets include ride, dinner and 22q bracelet. Sponsored by: Arrow Uniform "DELIVERING YOUR TOTAL IMAGE"
and Dirty Paws Pet Grooming in Davison!! ﻿Before August 2, 2018 - To Pre-Buy tickets click the above "ADD TO CART" button and add how many tickets you would like and pay with your credit card or checking with pay pal! DON'T FORGET TO GIVE US YOUR PHONE NUMBER AS WELL! 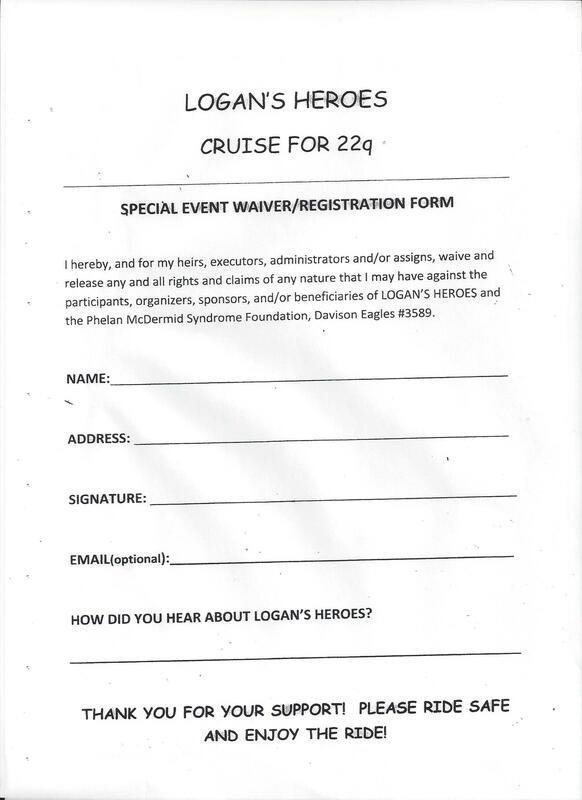 This will register your name and you will be paid in advance for your ride, dinner,22q bracelet and automatically entered for a chance to win a 50" big screen TV!! Bring your receipt at the registration table upon arriving on August 4, 2018 to receive your 22q bracelet! You may also pre-buy tickets before August 2, 2018 at "Dirty Paws Pet Grooming in Davison", "Cunninghams Salon on Richfield Road", "McFall's Collision and Frame Service in Flint" and "Farmer's Insurance in Davison Michigan"!